The Mopar Slotted Off-Road wheel comes in a 17x8.5 size with a 5.22 inch backspace (+12mm offset) for your Jeep Wrangler JL and JK. Offering a load rating of 1,950lbs with a 71.54mm pilot bore diameter. Includes a matching center cap. Lug nuts and TPMS are sold separate. Finished in a satin carbon color and sold each. 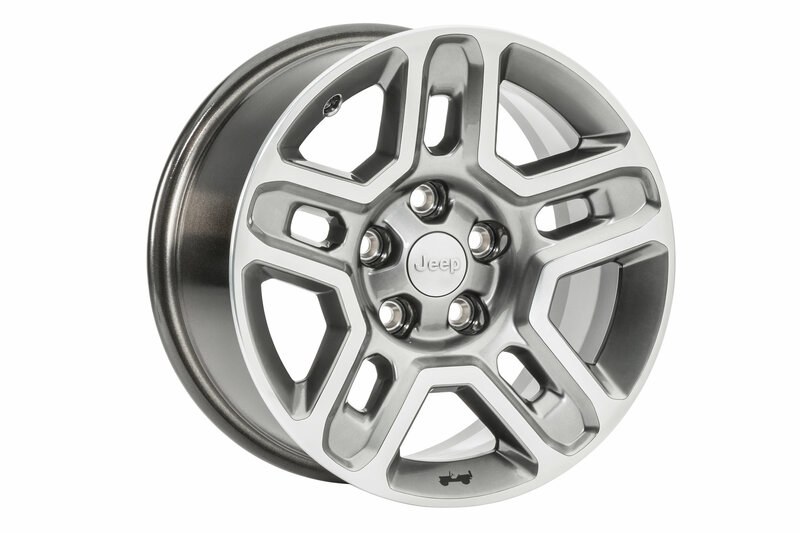 Mopar Quality: A superior factory wheel that is durable and built to endure the harsh elements. Giving your Jeep style and a clean OEM look. Satin Carbon Finish: This is the same paint finish offered on the factory Moab Jeep Wrangler JL edition wheels. Allowing your Jeep to look and feel like a premium edition (DD5 paint color code). Factory Design: A direct fitment to the JL 14mm studs and JK 1/2 studs. Meets all SAE Requirements and compatible with the factory TPMS sensors.